James Schoolcraft Sherman (October 24, 1855 – October 30, 1912) was an American politician who was a United States Representative from New York and the 27th Vice President of the United States (1909–12), under President William Howard Taft. He was a member of the inter-related Baldwin, Hoar, and Sherman families, prominent lawyers and politicians of New England. Sherman is the most recent Vice President to have died in office. 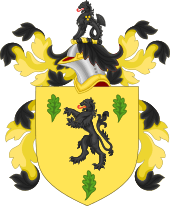 Sherman was born in Utica, New York, the son of Richard Updike Sherman and Mary Frances Sherman. According to Facts on File, "Sherman was of the ninth generation of descendants from Henry Sherman, a line also connected to Roger Sherman, signer of the Declaration of Independence, and William Tecumseh Sherman, the Union general during the Civil War". He was educated at Hamilton College in Clinton New York, where he was noted for his skills in oratory and debate. He studied law at Hamilton for a year, and then continued his studies at the Utica office of Beardsley, Cookingham and Burdick, which included his brother in law Henry J. Cookingham as a partner. He was admitted to the bar in 1880, and practiced with Cookingham in the firm of Cookingham & Martin. Sherman was also president of the Utica Trust & Deposit Co. and the New Hartford Canning Company. He became mayor of Utica at age twenty-nine. During his House career, Sherman served as chairman of the Committee on Indian Affairs from the 54th through the 60th Congresses (1895 to 1909). As Sherman had never held a party leadership post or been a chairman of a major committee such as Ways and Means or Appropriations, he was considered sufficiently neutral to frequently be appointed chairman of the "Committee of the Whole" — a crucial device for speeding up the passage of bills by suspending certain rules at the discretion of the chairman. Henry Cabot Lodge recognized this job as a major test of integrity and judgment, and declared that Sherman was supremely fitted for it. Through Sherman's efforts in 1900, the Sherman Indian High School in Riverside, California was built and named after him. But Sherman's health (he was diagnosed with Bright's disease in 1904) was failing by the time of the 1912 campaign. 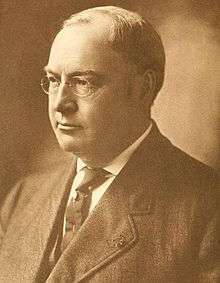 Less than a week before the election, he died at home in Utica, six days after his 57th birthday, and President Taft was left with no running mate, although Nicholas Murray Butler was designated to receive the electoral votes that Sherman would have received. Taft and Butler came in third place in the election, carrying only eight electoral votes from Utah and Vermont. Democratic candidate Woodrow Wilson and his running mate Thomas R. Marshall won the election while Progressive candidate Theodore Roosevelt and his running mate Hiram Johnson came in second place. 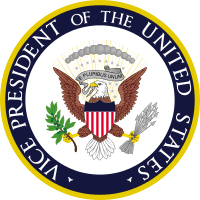 The office of Vice-President remained vacant until Marshall's inauguration, on March 4, 1913. ↑ "Archived copy". Archived from the original on March 5, 2016. Retrieved October 31, 2012. ↑ Arnold, Peri. "James S. Sherman". American President: An Online Reference Resource. University of Virginia. Retrieved December 13, 2010. ↑ Congressional Quarterly's Guide to U.S. Elections. Washington, DC: Congressional Quarterly, Inc. 1984. pp. 812, 816, 820, 825. ISBN 0-87187-339-7. ↑ Congressional Quarterly's Guide to U.S. Elections. Washington, DC: Congressional Quarterly, Inc. 1984. p. 73. ISBN 0-87187-339-7. United States Congress. "James S. Sherman (id: S000345)". Biographical Directory of the United States Congress.